Welcome to Iceland, There is no sunlight, You are on fire, A demon takes your face… Come to Iceland, And give us your eyes. The open road, nothing better. 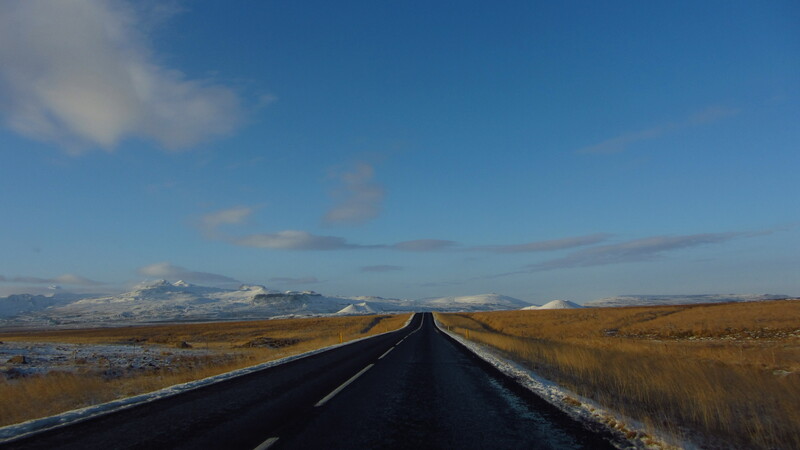 I sang that song a lot during my week in Iceland, much to the bemusement of my two road trip companions. Iceland was everything I had hoped and dreamed it would be- which is to say slightly strange and strikingly beautiful. I had extended my layover in Iceland months before, but aside from Google-imaging ‘Iceland’ and ‘northern lights’, had done very little actual travel planning up until a few days before I was set to leave. Luckily through Couchsurfing I connected with a Norwegian gal who was about my age and a travel baby from France, and we decided to split the cost of a rental car to road trip north along the Ring Road for a week. I will try my best throughout the rest of this post to remember/ not butcher the names of places we visited, but a few months have already passed and one of the hostels we stayed at was called Grund í Grundarfirdi,Grundarfjordur, so no promises.